You know those games that you download in a sale and then it’s there, underutilized amongst the many others. It’s cheap and looks fun so what’s the harm? But you never seem to get around to it. For me, Phantom Breaker: Battle Ground fell firmly into the above scenario. I must have downloaded it years ago and was only able to give it my full attention recently. Sometimes video game backlogs can grow so large that certain games get left behind until a much later date. Still, I finally got around to playing it but was it worth the wait? 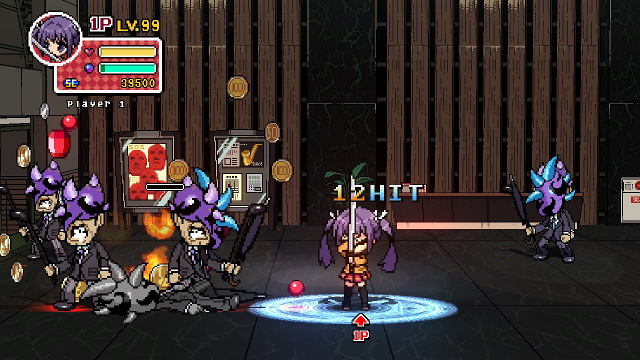 Phantom Breaker: Battle Grounds is rightly compared to Scott Pilgrim vs. the World: The Game on many occasions due to the two having extreme similarities in menus, gameplay and music. Players play as chibi versions of Mikoto, Waka, Itsuki and Yuzuha as they fight against large groups of enemies. If you’ve ever played a beat ’em up then you should know what to expect with this game, 2D graphics, scrolling environments and lots and lots of fighting bad guys. The graphics are bright, anime and pixelated which lends itself really nicely to this genre. The action packed combat is frantically paced but thankfully not overly complicated with long, hard to teach combos that can make these types of games unnecessarily difficult. Each playable character comes with their own set of abilities, special attacks and skill tree that requires you to level up to unlock some of the strongest combos. These characters are designed in a way that it’s almost impossible not to find them adorable; being able to customize their appearance is a nice touch. I can definitely see the comparisons made with Scott Pilgrim, so if that’s a game that you enjoyed then I highly recommend you check this out. It’s quite a short game with only 7 stages that can be completed in a few hours or so. Being so short means that it never gets boring and stays fun until the very end. An issue with other beat ’em up games is them being overly long which in my experience tends to lead to lots of repetition and that leads to boredom. Even though the game can be experienced alone, there is as well the option of up to 4 player cooperative mode. I played through the game a number of times with the help of Fleshmechanic and found it much more enjoyable than playing alone. 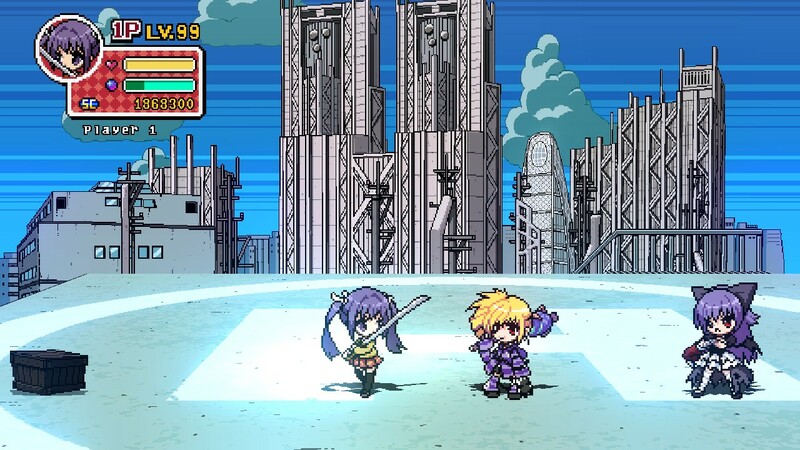 Phantom Breaker: Battle Grounds is a short game but there is definitely plenty of replay value for completionists. Even though my time with it was brief I thoroughly enjoyed it and would certainly recommend it to anyone that’s into these types of games or anyone that was a fan of Scott Pilgrim. Solid, Fast paced beat ’em up action combined with an excellent soundtrack and colorful graphics, what’s not to like? Oh, it’s backwards compatible on Xbox One for those that would rather leave the old hardware in the past.